Dr. Christopher Green graduated from the University of California Irvine School of Medicine and did his internship at the Arrowhead Regional Medical Center. 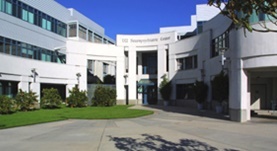 He completed his residency program at the University of California Irvine and his fellowship at the University of Washington. Dr. Green has been in practice for a few years now and is specialized in Radiology. 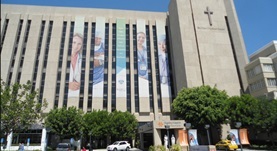 He is currently affiliated with the VA Long Beach Healthcare System and University of California-Irvine Medical Center. During his career, he has also contributed to 5 clinical research publications. Dr. Christopher Green has contributed to 3 publications. Novel, congenital iliac arterial anatomy: Absent common iliac arteries and left internal iliac artery. Green CS, Helmy MA; Radiol Case Rep. 2014. Outcomes and complications of angioembolization for hepatic trauma: A systematic review of the literature. Green CS, Bulger EM, Kwan SW; J Trauma Acute Care Surg. 2016 Mar. Cancer therapy related complications in the liver, pancreas, and biliary system: an imaging perspective. Ngo D, Jia JB, Green CS, Gulati AT, Lall C; Insights Imaging. 2015 Dec.